Where do you Want Music Playing? In every home there is one central area where people gather to sit and talk, relax or watch some type of movie or show. If you’re even the type of family who throws a party every now and then, you’ll want some music playing in the background as well. For these types of occasions, you’ll want the right type of sound system, one that fits your needs. Sound systems come in all sorts of different designs, features and prices these days, but most have the same things in common. You’ll need to take certain steps to figure out which type of system is perfect for you. 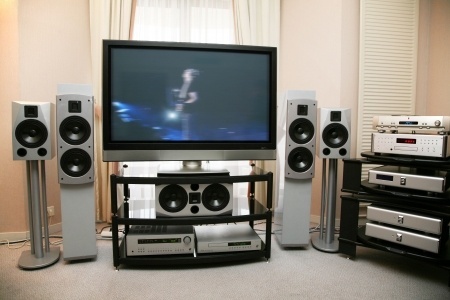 First, decide what type of needs you have when it comes to a sound system. Ask yourself things like how often will you use it? Is it primarily for background music, or to watch and listen to television shows and movies? Is the best quality sound system more important than the budget you have set for one? These are the things you’ll have to analyze first before moving any further. Next, you’ll need to establish a budget for one. Consider how important this purchase is to you and your family because this will help you determine a sound budget range. If you’re only going to be using it every so often, then maybe a smaller budget might suit you just fine. Alongside your budget, start trying to find where you’ll shop for your system. Use the internet and do some research on places that sell sound systems. Read customer reviews of both the store as well as the type of sound systems people have purchased in the past and learn everything you can about them. Finally, compare all the different systems you find and select whichever one is best suited for you and your intended use of it. 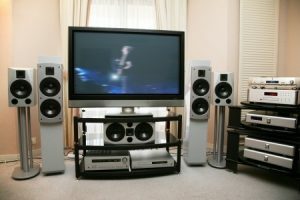 Once you find the best sound system for your intended use, purchase it, install it and begin using it.